Online Bus Ticket Booking, Book Volvo AC Bus Tickets, Reservation. Congrats! Book your onward and/or return ticket in five easy steps – select your route, pick the type of bus from a wide variety comprising Mercedes, Volvo, AC Luxury, Deluxe, Sleeper, and Express, choose your seat, select your pick-up point, and finally, pay using a debit or credit card, or net-banking. Now it is easy to book Ramoji Film City entry ticket online at Bestbus. We are offering Ramoji Film City online booking services for Day Tour, Special Tour Packages, Online Hotels Booking, Honeymoon Packages and more online booking services for Ramoji Film City. Online booking now made it possible to find a bus and book within fraction of time anytime of the day - from anywhere in the world. Convenience is one of the most significant. 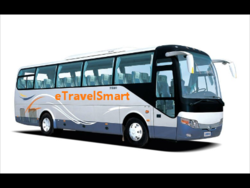 Offering online bus tickets booking service. Get best discount on all bus tickets on this festival section with out any conditions and offers. Even in your last minute journey also you are going to get the best deals. We Provide Low Cost Bus Ticket.